﻿ Jujubee S.A. - Games Developer and Publisher. 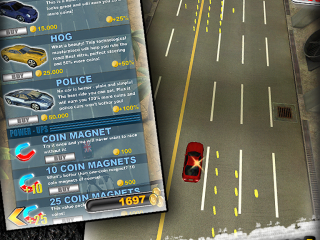 iOS | Android | WP | PC | Mac | Linux | PS4 | Xbox One - Suspect: The Run! They're out ta get you, but will they catch you? 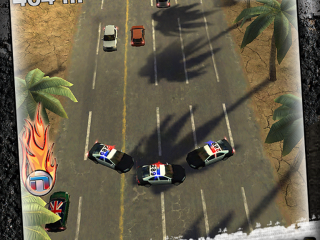 Fasten your seatbelt, put the pedal to the metal and flee the cops at all cost! 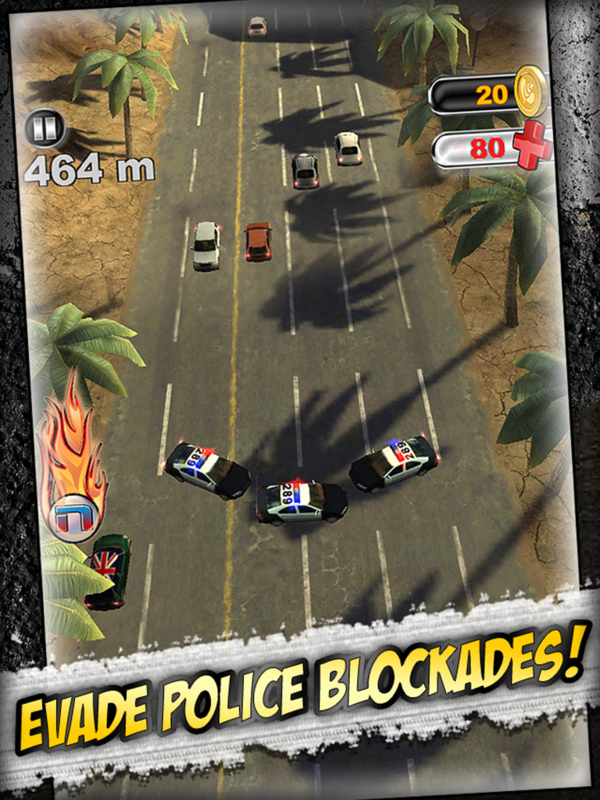 Avoid traffic, evade police blockades, collect bonuses and coins, unlock new cars and upgrades! 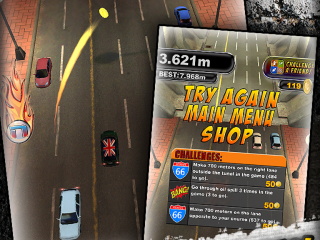 Drive recklessly at supersonic speeds and become the king of the road in this great arcade game by Jujubee! 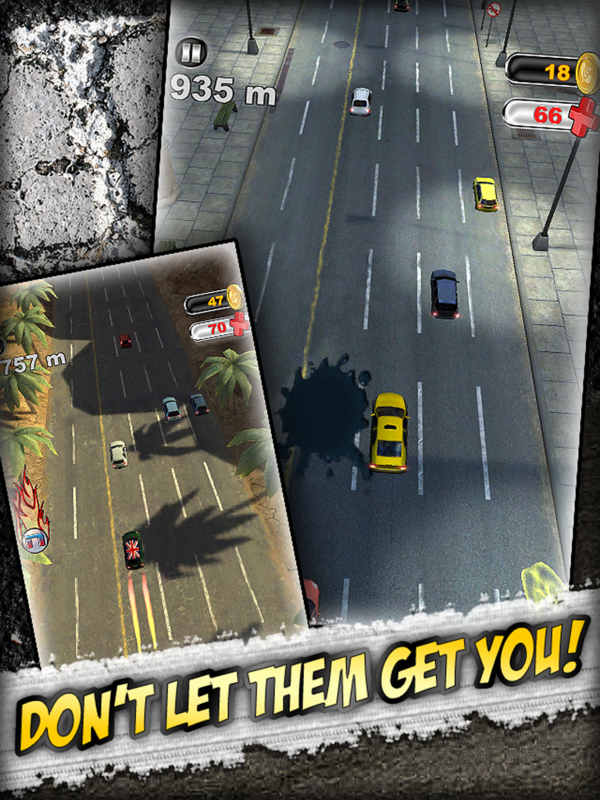 Get rid of all obstacles in your path, use the nitro boost to smash through other cars and to destroy barricades! 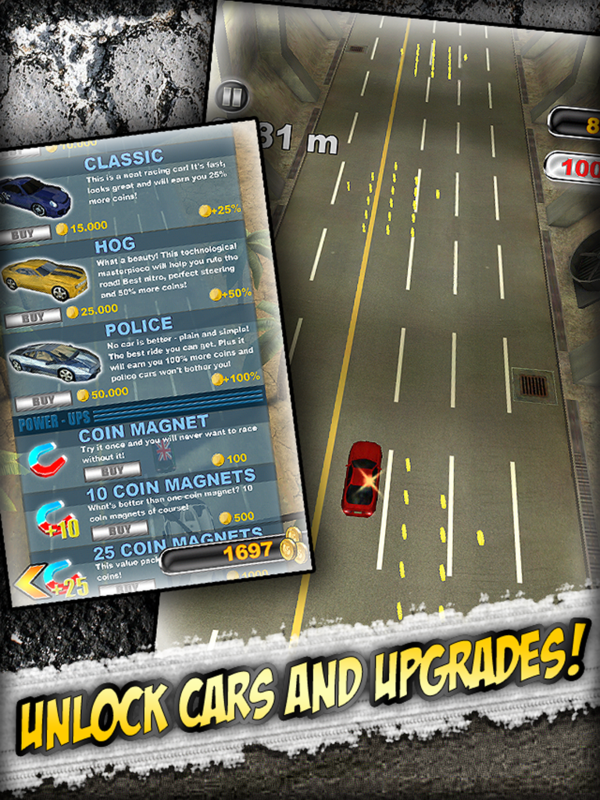 Buy magnets, multipliers and other bonuses to collect even more coins, and put all your skills to get as far as possible, with utter disregard for the traffic rules! 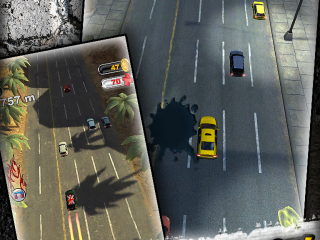 Compete against your friends on the online leaderboards and lose yourself in this awesome high-octane treat! Cool music and real police sounds! Many great cars to master! Buttons, tilt and swipe controls - you choose! Hours of intense arcade action! A bit of sarcastic humor! Looks great on the TV via Apple TV or TV Out! Jujubee releases "Suspect: The Run! 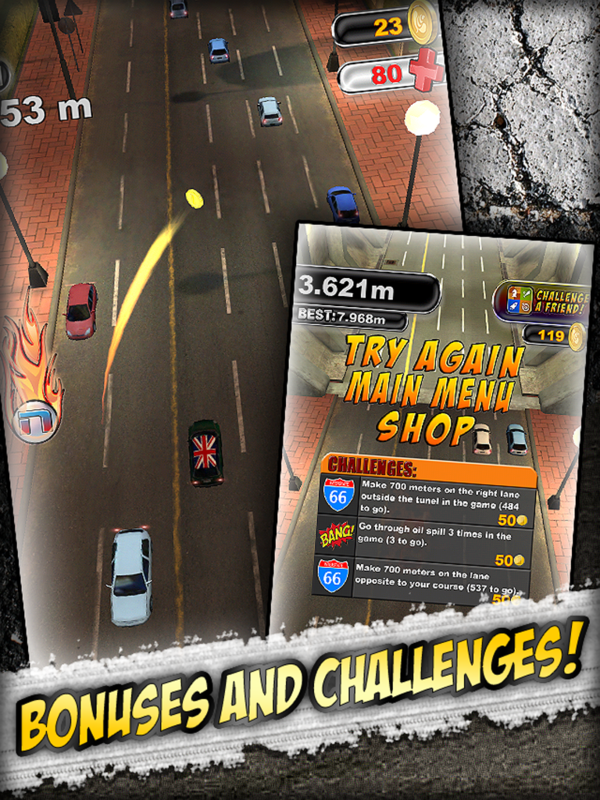 ", a FREE game for iOS and Android!